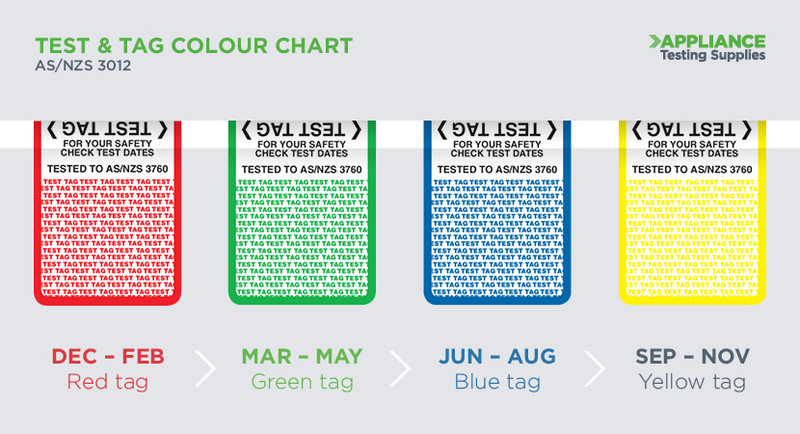 Which Test & Tag Colours Should You be Using? 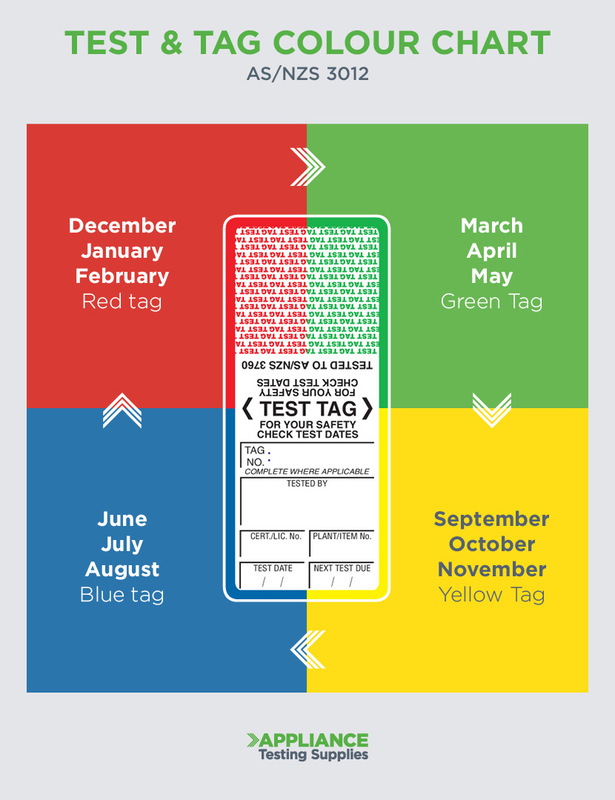 Test and tag colours are used for particular industries to represent the different months of the year. This means that anyone working in construction, mining or demolition are required to follow these AS/NZS 3012 guidelines. Anyone else not in those specified industries aren't required to use a specific electrical tag colour. There’s four colours that are primarily used on a quarterly basis across Australia, which include red, green, blue and yellow. Although NSW previously had a separate colour coding system, this has now aligned with the other states. This now means that VIC, NSW, SA, WA and QLD all have the same electrical test and tag colours. If you any have further questions about how to use colours properly, or if you need any expert advice, please contact us or call 1300 656 938. Alternatively, you can download and print the colour chart for you to refer to.